Normal hair growth requires body balance. Prescription forms of medication including birth control can and do change a natural body function. For some females the change that takes place from taking birth control can trigger a minor short term body disruption. This minor interruption can have an impact on the hair cycle and result in diffuse hair loss. Diffuse hair loss is hair loss diffusely all over the scalp, not in patterns or patches. Diffuse hair loss begins three months after starting, stopping or changing birth control. Diffuse hair loss is when normal growing anagen hairs are triggered by body change to prematurely fall. When diffuse hair loss occurs it will always be alongside with normal daily hair loss. Diffuse hair loss is not permanent, and should subside after 3 months. This is ‘self-correcting hair loss’, when the causative factor is identified, balanced or removed. Diffuse hair loss starts 3 months after starting, stopping or changing birth control. Diffuse hair loss will continue for 3 months losing up to 300 hairs a day. Diffuse hair loss should stop after 3 months, at this point hair has lost volume, looks and feels thinner. Hair should return back to normal hair cycle and density within 12 months as long as body and health are in good order. It best not to be reactive when you notice diffuse hair loss. Find the cause before making any further changes to medication. Reactive action can trigger further diffuse hair loss. Understand it is the starting, stopping or changing of birth control or medication that is the trigger of diffuse hair loss. Birth control and medication rarely directly cause hair loss. Birth control works well as birth control and should not really be used for hormonal problems. Using birth control to address or control hair loss will result in quite the opposite effect. When birth control is used for conditions not related to its direct purpose, one should look internally for hormone balance and address accordingly. It is always a best to address both symptoms and causes with diffuse hair loss. The cause of most cases of diffuse hair loss are easily identified. 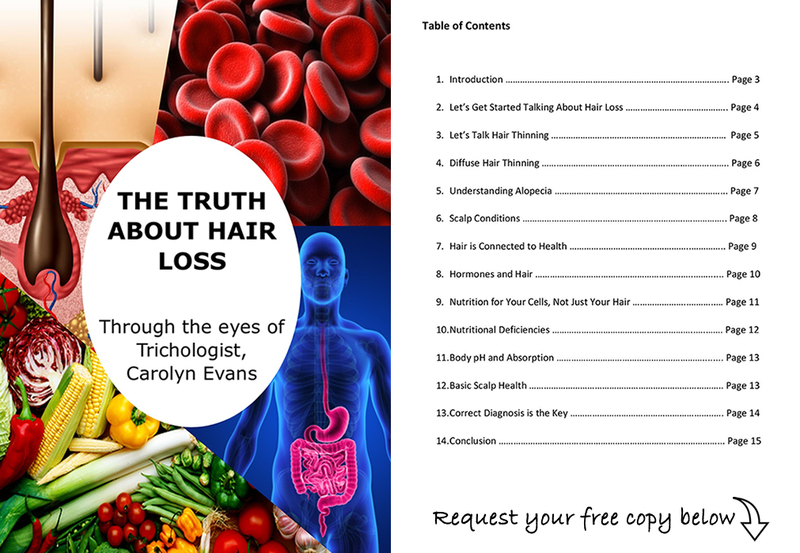 What differs is the individual health which will determine hair regrowth. When the body is battling other problems at the same time, it can affect the quality of hair regrowth. One of the most common problems found with female hair loss resulting in diffuse hair thinning is… Low iron. As Absolique Hair Health Clinic Trichologist Sydney, I can guide you through starting, stopping or changing birth control and medication by planning ahead. We can check in on the state of your hair cycle and overall health to ensure hair regrowth following diffuse hair loss. 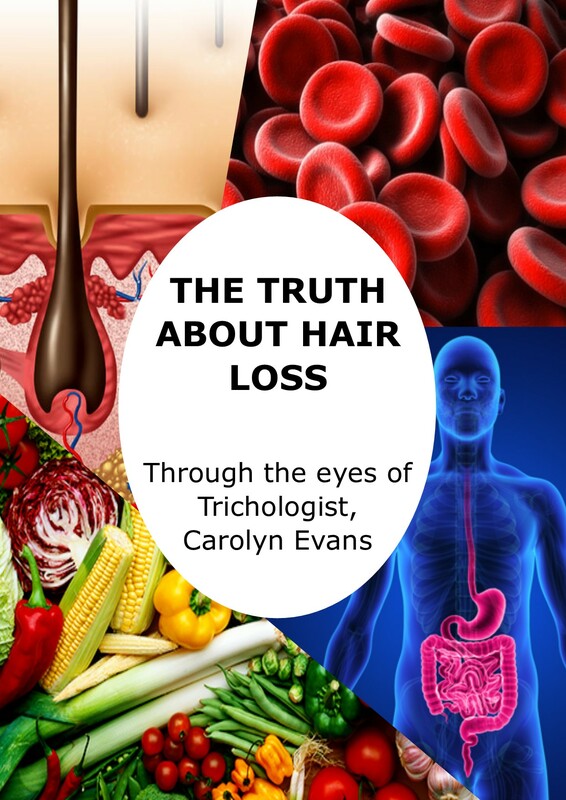 Absolique Hair Health Clinic Sydney and Trichologist Sydney Carolyn Evans-Frost use and recommend support, advice and assistance from your doctor to reduce and address diffuse hair loss. For further information on Birth Control and Hair Loss Sydney or to book you own Hair Health Check, contact Trichologist Sydney info@absolique.com.au or call our amazing reception and support team on 02 8014 6916.